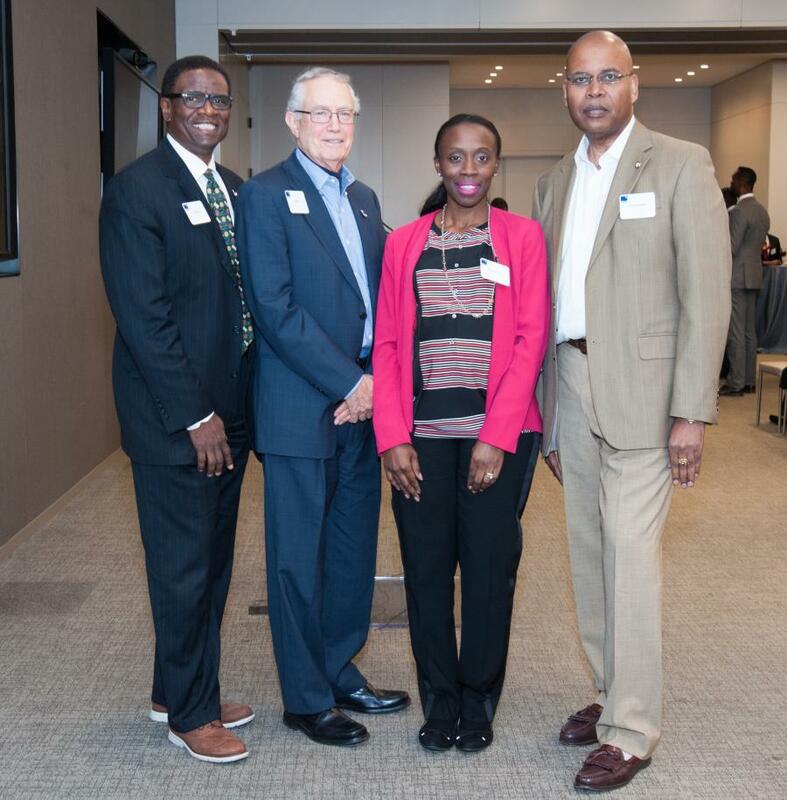 (L – R) Ken McIntyre, Interim Executive Director, Project REAP; REAP founder, Mike Bush; Associate Program Director, REAP, Osayamen Bartholomew; G. Lamont Blackstone, REAP board chair. 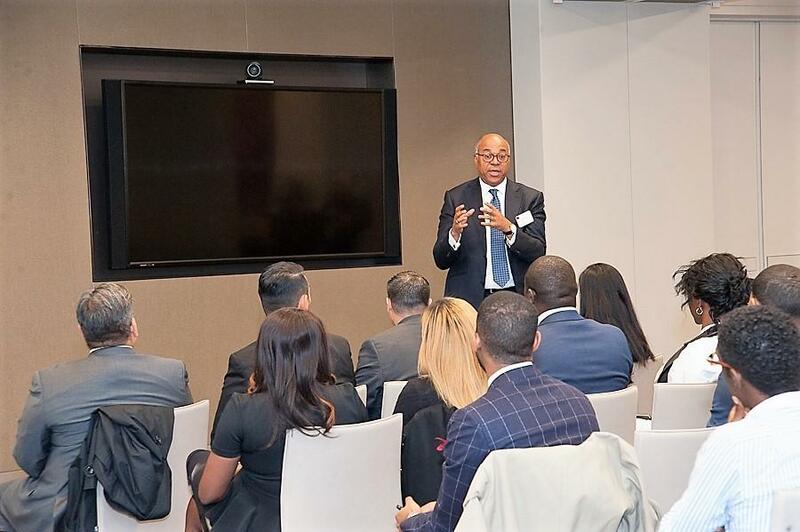 “What other educational program brings these extraordinary organizations together for an unparalleled opportunity to network, learn and find your own niche in commercial real estate?” asked G. Lamont Blackstone, board chair of Project REAP (Real Estate Associate Program), addressing a rapt crowd at REAP's Trade Night and Networking Reception held Oct. 30, in New York City. 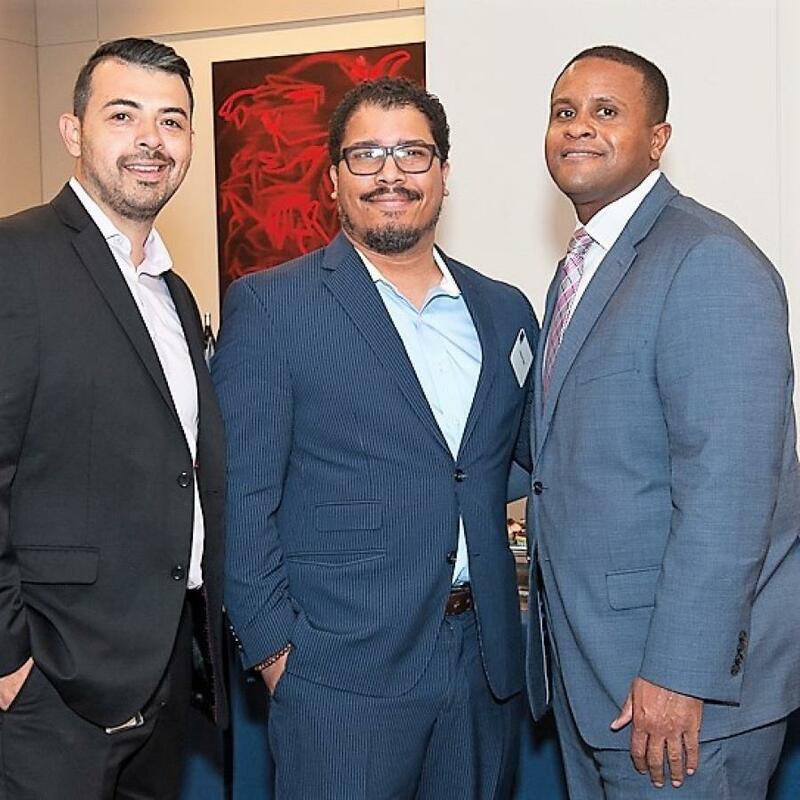 Founded 20 years ago, REAP is a national educational initiative dedicated to increasing diversity in commercial real estate (CRE) through a multi-layered program of education, mentorship and networking for individuals who have already achieved professional success. The annual event gives current students a chance to network with REAP alumni and representatives from major industry trade associations. 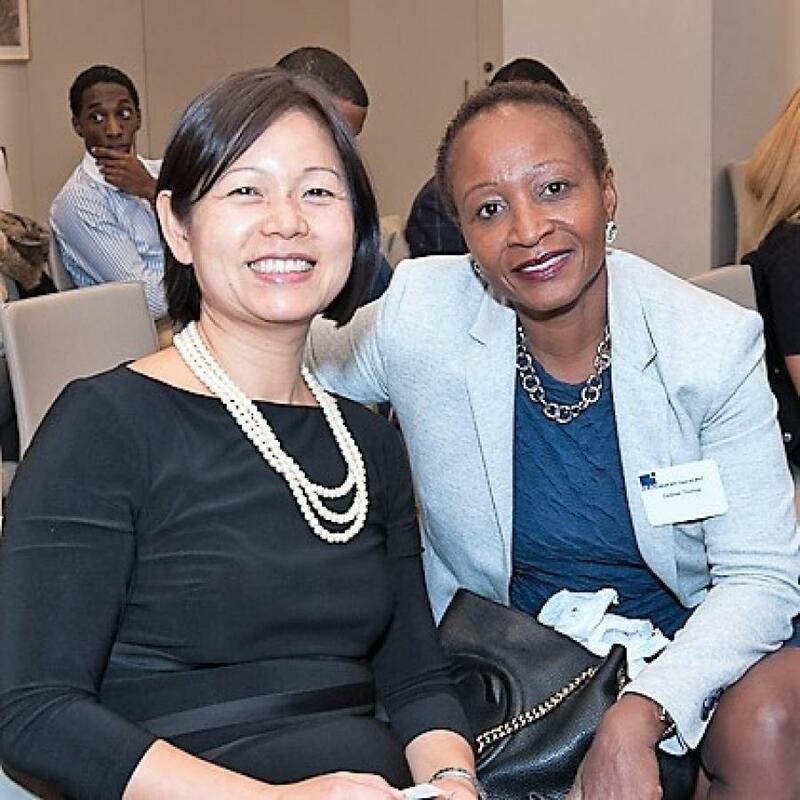 JP Morgan Chase & Co., one of REAP's corporate sponsors, hosted the evening at a JPMC midtown Manhattan office. Association leaders provided valuable information and insights. Rosemary Subasic, membership committee chair of BOMA, director of facilities management, Hines aaf Morgan Stanley, discussed avenues of professional development through certifications and courses and the advocacy and support that BOMA offers. 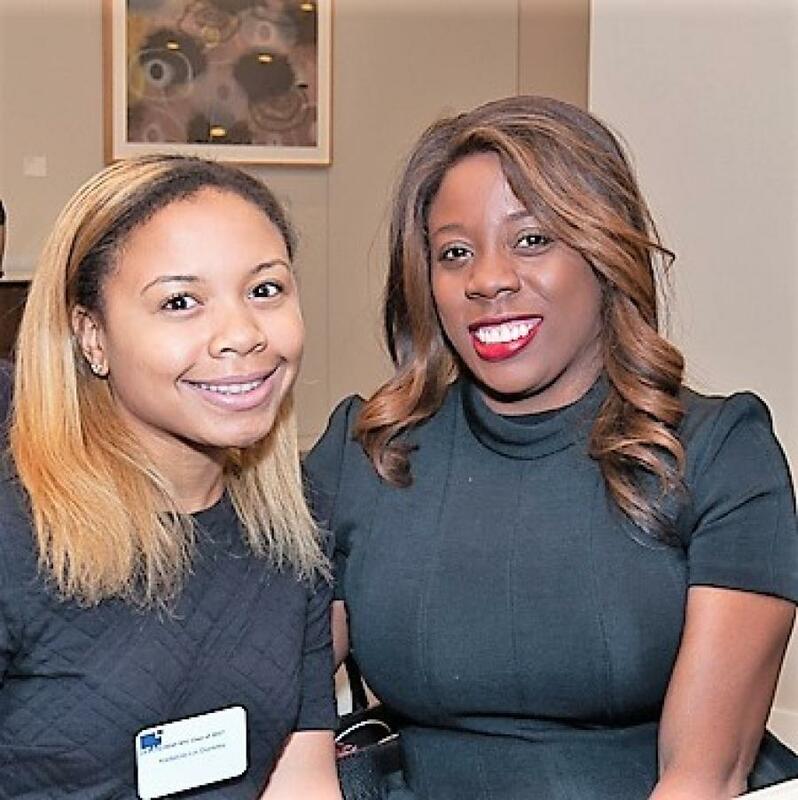 Tiffany Greenidge, NAIOP secretary and marketing account executive Empire Realty Trust, and Rick Lechtman, president-elect, NAIOP (Commercial Real Estate Development Association), and first VP, Marcus & Millichap, spoke of the organization's inclusionary focus and its diversity initiative. NAIOP provides career and professional development, advocacy and research beneficial to the CRE industry. Felix Ciampa, executive director of the Urban Land Institute (ULI) New York, encouraged all to participate in such programs as Real Estate Outlook, Reinventing Retail, Young Leaders, Mentorship (for persons under 40), Technical Assistance Panels (TAPs) as well as councils in housing, infrastructure and mixed use. The event met with unanimous kudos. Current NYC REAP students (REAP rotates classes at major cities throughout the nation) applauded the event.